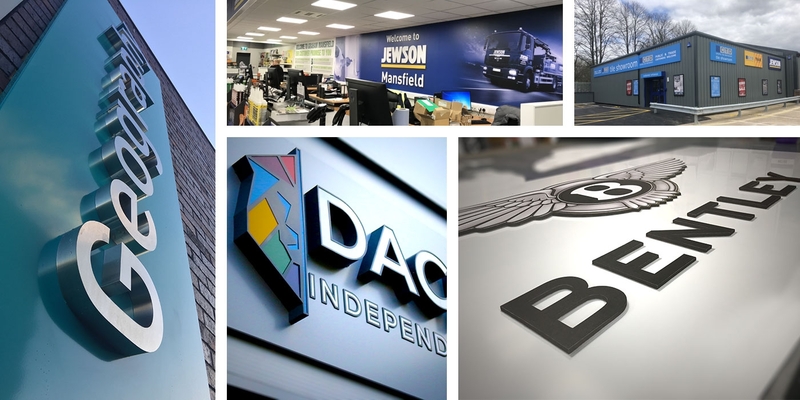 We have been producing beautiful signage since 2004, working with national brands on multi-site locations and enjoy challenging niche requests. Design, fabrication and installation is all handled by ourselves. We design, fabricate and install all manner of signage. Internal or external, giant or minute – we’ve got it covered. Totem signage, POS display and banner systems, window graphics, office and showroom wall-wraps, internal signage and graphics, 3D built-up signs, illuminated and LED to name but a few. All steel signs can be coloured to any RAL or BS colour. All our products are installed by our own qualified professional installers. We use safety compliant equipment and are careful, clean and efficient. Our experienced in-house design team can produce you anything – from corporate ‘on brand’ visuals to bespoke blue sky ideas. We also use the very latest manufacturing techniques and state of the art machinery, enabling us to produce anything you require. We guarantee you will be extremely satisfied.